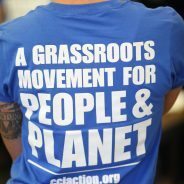 Home Posts Tagged "cathy glasson"
At the heart of our vision of doing politics differently is putting people and planet first. 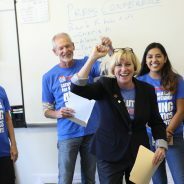 Read the caucus night energy and results for the seven counties we organized for Cathy Glasson. And what's ahead. We're excited to do politics differently. But what does that mean exactly? Take a look at the chart we developed after a series of meetings with our members across the state. Clean water should be a right, not a fight! But with a Governor’s office that’s been up for sale to corporate agribusiness and big polluters, Iowans can’t take the quality of our water for granted anymore. We need a Governor who is committed to putting our people, our planet, our quality of life, and our water above profits! That person is Cathy Glasson.